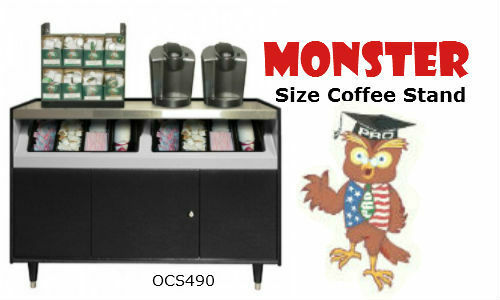 Coffee Stations are GREAT Organizers! 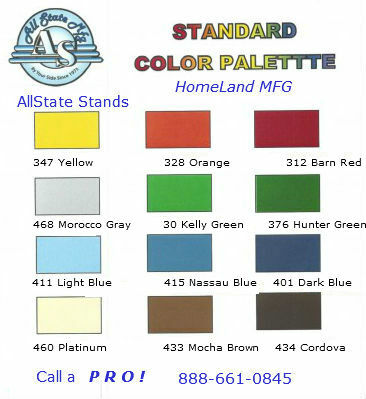 ALLSTATE Coffee Stations are a sanitary and organized place to store coffee supplies. 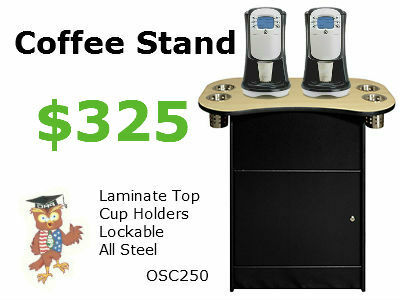 Our Coffee Stands are available in several models. 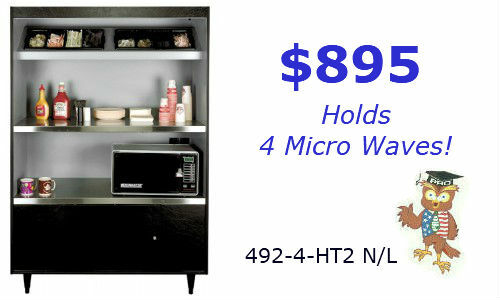 Double steel side walls and lockable storage too. 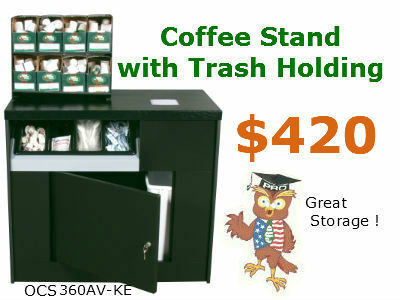 All coffee stands are available for fast delivery. 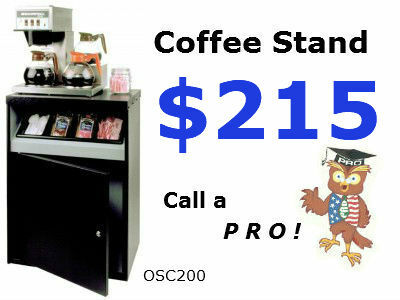 OCS 200 Coffee Stations are our most popular size. $215. 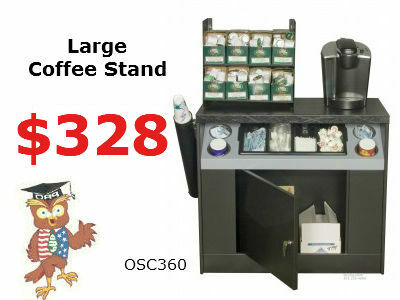 OCS 360 extra large break room coffee stand, $328. 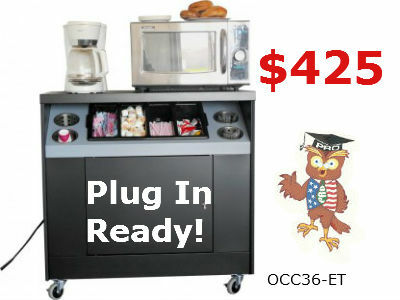 OCS490 super wide cafeteria coffee stand $445.